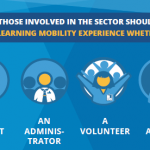 Through learning mobility, individuals acquire new skills that will strengthen their future employability as well as their personal development. This is the well-known storytelling of the Learning Mobility advocates. Yet this is only one side of the story. True is every stakeholder involved in the process is gaining from the experience including the host and the sending organisation as the beneficiaries question may act as eye opener breaking daily routine in host organisations and come back to their country with self-reflection skills and new knowledge and skills hence contributing in return to the development of their sending organisation. “The practices have shown that immense benefits could be reached if the sector adopts a culture of Learning Mobility. Participants, as well as host and sending organisations often describe it as “a once-in-a-lifetime experience building upon cultural and practical learning outcomes”. In nurturing a culture of learning mobility in the sport and physical activity sector, we believe the sector will be better equipped to tackle the societal and economic challenges it is now facing. It is our understanding and a common belief from many organisations that the sport sector could benefit from the adoption of a culture of learning mobility which would allow all stakeholders (the individual, the host and the sending organisations) to win through mutual enrichment where ‘giving’ and ‘receiving’ become the order of the day. Indeed through learning mobility, the sector will be more interconnected and will get the opportunity to build its capacity. 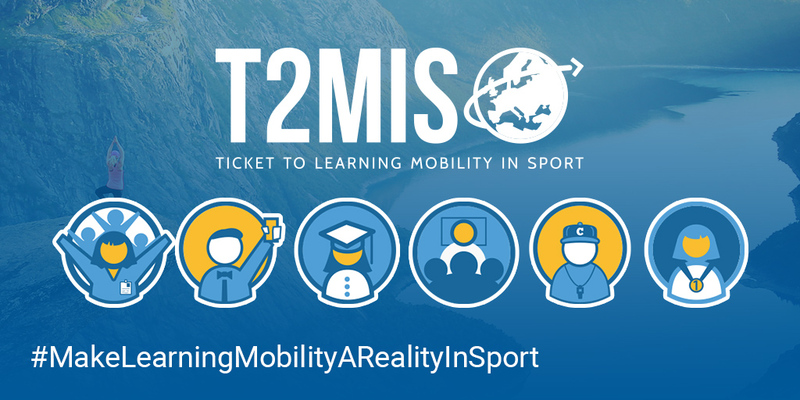 This is why the T2MIS partners*, including EOSE as the leader, are closing the 18 months EU funded project with a call to action and inviting all stakeholders to make their Voice heard using #MakeLearningMobilityARealityInSport. “Improving skills, promoting lifelong learning and facilitating exchange of knowledge is a crucial process in the development and professionalisation of the whole sport sector. 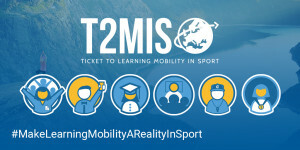 T2MIS online platform is offering the first step for individuals and organisations willing to take their ticket to learning mobility. In that sense, we should be proud to have pioneered an innovative tool accessible to all during the T2MIS project. The interest from the sector has clearly been demonstrated and we have developed together a solid foundation. The time is now for us all to work on the next steps towards sustainability and future actions!” says Carole Ponchon, EOSE PR and Project Manager who lead the T2MIS project. The launch of the platform resonates with the announcement yesterday (31 May 2018) by the European Commission of the Preparatory action “Exchanges and mobility in sport” as well as the future plan for Erasmus+ Sport to be more ambitious in terms of mobility and external dimension. The whole project has been building upon results from the Feasibility Study carried out by EOSE in 2013 and consultation with the whole spectrum of the sector in order to develop a dynamic tool demonstrating the benefits of learning mobility, the eligibility of the sector through a series of testimonials and good practices as well as an innovative wizard area directing individual and organisations towards potential funding stream based on information they would share with the T2MIS mage. Let us tell you the true… There is no magic at this stage, the magic only occurs once people get the chance to experience learning mobility. The platform is rather the results of extensive desk research and interviews with key stakeholders. We invite you to visit www.t2mis.eu and leave it to you to make the most of the experience! 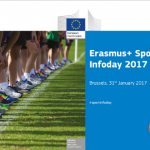 Opportunities for the sport and physical activity sector to reap the benefits of learning mobility start now! 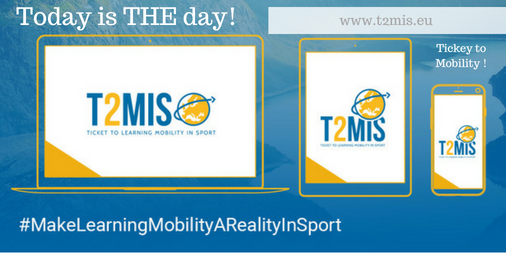 Visit and enjoy the T2MIS online platform, share the news with other organisations using #MakeLEarningMobilityInSportAReality and feel free to email us at eosesec@eose.org should you want to explore further opportunities or learn more about the project. 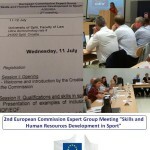 The T2MIS project was co-funded by the European Commission under the Erasmus+ Small Collaborative Partnerships in Sport programme. 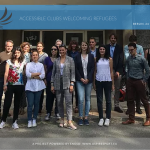 * Full list of partners: European Observatoire of Sport and Employment (France), Mykolas Romeris University (Lithuania), SportMalta (Malta) and the Werkgeversorganisatie in de Sport (The Netherlands).